The Silicon Valley tech giant said it would take more than six months to move more than 12,000 workers to the new campus, which is set on a 175-acre site. Apple has announced that its new $5 billion campus will be open to employees starting in April. 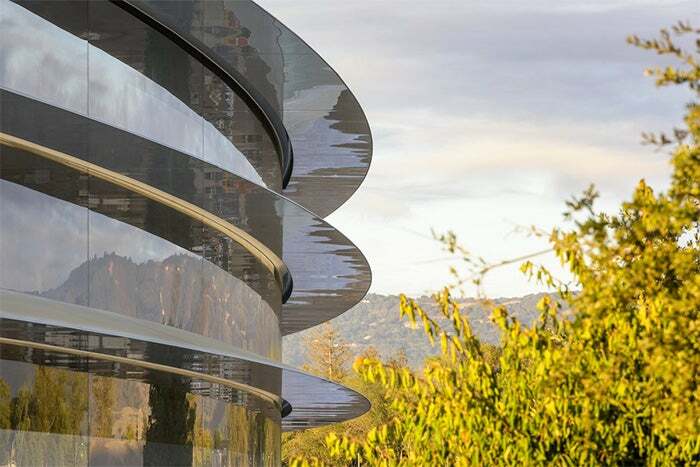 The ring-shaped facility, which Apple is now calling "Apple Park," is several months behind schedule. Construction on the main building and the surrounding parkland will continue over the summer, Apple said. and an orchard, a meadow and a pond. The main building is clad in panels of curved glass. Apple started work on the Apple Park in 2013. Tim Cook, Apple's CEO, told employees last year that Apple planned to move the first groups into the new "Spaceship" campus in January 2017. Apple also revealed on Wednesday that the new 1,000-seat auditorium would be named the Steve Jobs Theatre, after the company's late co-founder who would have turned 62 this Friday. The auditorium, which is "opening later this year," sits on a hill overlooking the rest of the campus and comes with a metallic carbon-fiber roof. "Steve's vision for Apple stretched far beyond his time with us," Cook said in a statement. "He intended Apple Park to be the home of innovation for generations to come. The workspaces and parklands are designed to inspire our team as well as benefit the environment. We've achieved the most energy-efficient building of its kind in the world and the campus will run entirely on renewable energy." Jonny Ive, Apple's chief design officer, added in a statement: "Steve invested so much of his energy creating and supporting vital, creative environments. We have approached the design, engineering and making of our new campus with the same enthusiasm and design principles that characterize our products. "Connecting extraordinarily advanced buildings with rolling parkland creates a wonderfully open environment for people to create, collaborate and work together. We have been extremely fortunate to be able to work closely, over many years, with the remarkable architectural practice Foster + Partners."